The producer reflects on the UK scene past and present, talks about his discography, tells us about forthcoming projects and lots more. First up, can you start by introducing yourself to our readers? My name is Insane Macbeth, producer extraordinaire, UK hip-hop legend…Notorious on the streets of London. I have been involved in hip-hop since the early ‘80s. I was going to jams, as a youth in the early eighties, observing the London emcees and deejays. I started getting involved in music production in 1987/88. At that time, I was rolling with The Sindecut. However, I also knew members of The HQ, particularly, Shaka Shazzam. He introduced me to The Icepick, The Zombie Headhunters, Katch 22, plus Kamanchi Sly of Hijack. In 1991, I formulated my own record label, Insane Recordings. I recorded a track with Kinetic Effect (who was a member of the group, 2 The Top) called ‘Borderin Insanity’. In 1993, I released this track as a single. The B-side was ‘Beyond The Parameters Of Amateurs’. This is a classic UK hip-hop release, in which there were 500 limited edition green vinyl. In 1997, I released ‘Man Bites Dog’ B/W ‘The Effect Of Fear’, K.E.’s second single. This single very much influenced the more abstract hip-hop markets. I have other material in my discography. I am reknowned for being a pivotal member of the London scene. Basically, any mention of UK hip-hop, without my name, is not an accurate account. How did you come up with your artist name? Are you mad, and a fan of the Shakespeare play? My moniker is to do with the South London mentality that the artists around me possessed. Where I’m from, artists wished to have ‘killer’ names, for example Huntkillbury Finn, Shaka Shazzam, The Icepick, 17th Hangmen, Etcetera. I wanted a name that would pique the curiosity of my perspective audience. Could you run us through the most significant releases in your discography. All of the music I have produced, even unreleased material, is significant to me! I guess Kinetic’s first single is important, because it was the debut single. K-E’s second single is important because of the way we changed direction musically. Kinetic’s mini album, ‘The Mortis Experiments’ (which was never released) was important because of the artistic boundaries pushed. The two tracks on Huntkillbury Finn’s ‘Mummy’s Little Soldier’ EP, was important, as this was the first time I had worked with a different artist. My (unreleased) album ‘The Retardation’ project (There were 150 white label copies pressed) reflected my world-view. Yes, I am proud of my discography. What material throughout your career do you feel most proud about having made? I regard all the tracks recorded like my ‘sons’! As I said before, obviously the Kinetic Effect material is very significant to me. I loved working on my album, as I was able to work with other artists, with a very different work ethic and methodology to K.E. I can’‘t lie though… The ‘True Heart’ track, which was played on both terrestrial and pirate radio in London, enabled me to meet a lot of young rappers like Grimlok, Reveal, The Extremists (although they went to my secionday school, so they were familiar to me), Malarchi etc, who wanted to obtain beats from me. Although Westwood had played everything I had given him (even unreleased material), the fact that deejays such as DJ 279 and Shortie Blitz and Big Ted played that track, showed that other DJ’s were starting to accept my music and world view! Radio play was always more of a problem for me, that press in regards to promoting my product. I am experienced enough in this fickle buisness, to understand that not every tune I make is going to be written about or played on radio. I just want to continue making ‘killer’ tunes, really, and be seen as creative and consistent production wise. How do you rate the current state of the UK scene in comparison to how it was back in the day? I feel that both the scene, and the music industry is very different from when I first emerged! When I first came into ‘The Game’, very few people were released their own product. People wanted to get signed to labels. However, it just made more sense to release product myself, especially in regards to creative control in regards to both the music and artwork. Today, just like our US counterparts, artists are a lot more entrepreneurial. People such as P.D.C, S-M-S, and Defenders Camp are releasing their own mixtapes and DVD magazines in an attempt to promote themselves. Plus, society has changed a lot in the last five years. This is very much reflected in the music released today. Especially in regards to the grime scene! Do you think the internet has had a big impact on the way the UK hiphop thing is followed and learnt about? I’m not sure whether the internet has influenced how fans have come to learn about UK hip-hop. I have definitely used the internet to spread my discography. Basically, what I have allowed is for websites and forums to place snippets of my material for perspective surfers to download! I have definitely used the ‘net to my advantage, and this was very instrumental in me returning into the music industry. How important is it for younger UK rap fans to know about the music’s history in this country, and what can be done for this to be made easier? I believe that it is imperative that both fans and new artists know about the previous UK rap artists. This is the only way that they can gain a perspective and gauge between the past and present. Who are some of your favourite artists from the past and present? In the past, I rated Hijack, The HQ, The Sindecut, Katch 22, Hard Noise and The Twilight Firm (The production team for the Demon Boyz). Currently, I rate Karl Hinds. I think musically he is exceptional! I also like Dark Disciple (Malarchi’s Producer). E.Q-wise, He has the best drums in British rap! I also like his music. I also like Ricochet Klashnekoff and tried to make numerous attempts to work with him. I also think that Task Force are very talented. Are you currently working on any new projects and what can you tell us about them? I have so much material. It is truly unbelievable. I have what I call ‘The Cellar’…with so many unheard tracks! However, I can reveal that The Icepick and I will work on, and release a 3 track EP called ‘The Heat’. Right now, I am just concentrating on the Insane Macbeth featuring The Legendary Icepick: ‘True Heart’ single, to be released in the imminent future. What kind of lyrical angle do you appreciate? As a producer, I tend to work with any emcee I can relate to. Whether the emcee is just ‘spitting fire’ or has socio-political emphasis, or the emcee is into storytelling…As long as I gravitate towards that artist, I can then work with them! I am not concerned with ego’s. All I am interested in is making ‘killer’ tunes. Are there any rappers or producers you’d enjoy the opportunity to collaborate with? Yes. I would like to work with Dizzie Rascal. His delivery is weird, but I like him a lot. Ricochet Klashnekoff is a new artist that I have expressed a wish to work with. I had a meeting with his management from Reprazent. Things seemed to be going well…but nothing happened in the end! I am prepared to work with anyone who is talented. I am very much open for business. I am in the business of doing business. I want to spread my sound as far and wide as possible. What part of the UK are you from and do you get the chance to perform live much? I am from Brixton, South London…although I currently reside in Stoke Newington in the North side. No, I am not a performer. 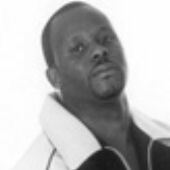 However, after releasing ‘The Heat’ with The Legendary Icepick, I do plan to have talks with him about the prospect of touring with him. We’ll see what happens. Of course, this is another opportunity to obtain revenue and make some ‘P’s. Do you have a website or any way that people can find out more about you? I plan to obtain a domain name in the near future. This is also something I am definitely thinking about. I am aware that it is now imperative for any successful record label to have a website. People can however go to any search engine on the internet, under ‘Insane Macbeth’ and find out more about my history in the London scene, as well as discography. Got any shout out’s or plugs you’d like to finish this on? Definitely. I wish to big up my clique, Territorial Army, Kinetic Effect in Clinton Hill, Brooklyn, Apollo Belladona, Huntkillbury Finn, Shado’, Grimlok, Reveal, Rufstylz, Gemini from Hard Noise, Pound Sterling and Bones, The Icepick, Shaka Shazzam, Grizzly, HQ (Hunted Quarters), Ripper, Charmaine Sinclair, Amanda White, Barbara Banda, my protÃ©gÃ© Gatsby, MC Mell ‘O’, Task Force, Karl Hinds, Dark Disciple and Malarchi, Byron The Hiphop Arsonist, every single person who’s supported Insane Recordings, the whole Grime scene, Tee Dubya @ Rapnews.co.uk. Also, support the Insane Macbeth featuring The Legendary Icepick ‘True Heart’ new 12” single. For collectors, there will be limted edition red vinyl. Hope you enjoyed the interview, readers. Bless! Until next time. This guy is an idiot. Producer what? I think he should just stick with mugging old ladies.